I love to write and being able to publish my work is a total dream come true. This blog is a chance to share my experiences. I LOVE watching previews. I'm actually a little ridiculous about it. 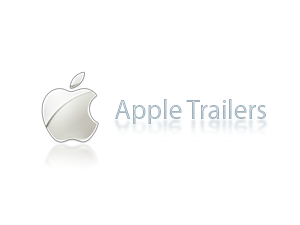 Usually, once a week, I'll pop over to Apple Trailers and download anything new and just watch my little heart out. So - as you can imagine, to me - the idea of BOOK trailers totally rocks! I decided I wanted to make one for Golden Blood. It had been suggested to me a while ago, but I wasn't sure I could pull it off, so popped it into the 'too hard' box until I was ready. First things first, I needed music, clips, photos and some good little lines running throughout it. I wanted to try and do this for free, so all the components needed to be royalty free and still useable legally. http://www.videoblocks.com/ These guys offer a free download trial. I went to town and got a bunch of stuff I could use for future trailers as well. http://www.stockfootageforfree.com/ These guys have a bunch of free music that is awesome for backing tracks. http://www.footagefirm.com/ I didn't end up using this site, but I saw the link and thought I'd share. Looks quite good. Once I had all my material tucked away in a folder, it was time to start construction. I'm a mac girl so I opened up imovie and got to work. 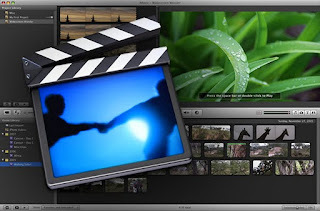 imovie is a very easy program to use, so in the end putting the clip together did not take long. Once I had finished it, got my friends to give me a little feedback and tweaked it some more, I uploaded it to youtube then linked it to all the sites I am associated with. It's had some good responses, so that's great. The best part about this - I had so much fun doing it. I was really happy with the end result too. Have any of you made book trailers or had them made for you? What do you look for in a book trailer? Do they entice you to read a book? What's the best book trailer you've seen so far? I am fascinated by book trailers! It seems like such an overwhelming thing to do, though! Thanks for the links. I bookmarked this page so when I'm ready, I can come back. I watched your trailer, and I love it! Nice to meet you Melissa, thanks for stopping by my blog! Oh my gosh - I don't know what in the world you were scared about! I loved it. In fact, it's one of the best one's I've seen! Great job! I love that you're using your pen name already, Leigh :) Awesome. Do You Ever Read Aloud? Close together or far apart?